With enriched industrial experience and knowledge, we are providing an excellent range of Automatic Shell Core Shooter Machine. Incepted in 2011,we “CFM Engineers” are engaged in manufacturing and supplying high quality Semi Automatic Machine for Multiple Core Box, Core Shooter Cold Box, Mould Core Machine, Shell Mould Core Machine and Sand Shell Core Shooter Machine. 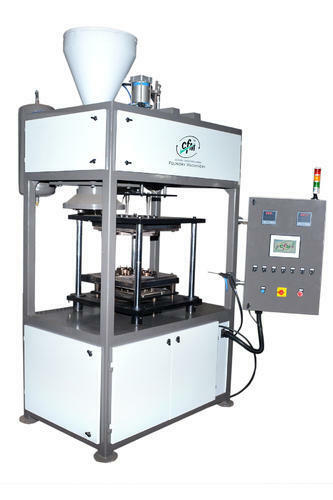 The offered machines are manufactured using advanced technology and world class raw material as per the defined quality standards. We have established a state-of-the-art infrastructural facility at Rajkot (Gujarat, India) that is categorized into different parts like procurement, manufacturing, production, quality control and sales & marketing. Furnished with ultra-modern tools and machinery, this infrastructural unit is operated by our adroit professionals to ensure streamline production.